Sometimes I wonder if the church should adopt a one-word mission statement: "Stop." Just getting people (including myself) to slow down and to reflect is what one might call a BHAG (Big, Hairy, Audacious Goal)! Our ministry programs and our worship at Living Waters reflect this mission. Most of what we do involves an invitation to step back for a period of time in this season of Lent and reflect. For example, at this time of year we teach our Confirmation students and their parents that worship is more important than their normal Wednesday class time. So, we instead come and sing (or even just listen to) the Lenten Holden Evening Prayer, and then to also experience the theme of "Faith and Doubt" expressed in our dramas and prayers. Whether it's on Wednesdays or Sundays, worshipping our Lord slows us down and bids us to quiet ourselves to hear God's words to us. University of California San Francisco scientists have made some new discoveries. They found that when people have new experiences like exploring an unfamiliar area, their brains show new patterns of activity. But only when people take a break from their exploration do they process those patterns in a way that seems to create a persistent memory of the experience. I think most of us need reflection time to learn and grow. So often I wake up in the morning with my brain already in go-mode, my head spinning with things to do and get done. There is a pile on my desks at home and at work, and my e-mail inbox is bursting at its cyber seams. "In returning and rest you shall be saved; in quietness and in trust shall be your strength. Therefore, the Lord waits to be gracious to you..." says the prophet Isaiah (30:18) Do I believe it? Can I trust it? A blessed and reflective season of Lent to you... remember to Stop! The Season of Lent starts this week! Ash Wednesday marks the beginning of the season of Lent on March 6. Some have called Lent, "Spring time for the Soul." Initially Lent was a period of baptismal instruction for new believers. New converts would study in preparation for their baptism on Easter morning so that they could celebrate the resurrection of our Lord with new-found joy. I encourage you to make this season of Lent a time of great spiritual renewal. Come to the Ash Wednesday service at 7 pm on March 6. Have ashes put on your forehead and hear the words, "Remember from dust you have come and to dust you shall return." While the words remind us that one day we will all die, they are intended to be life-giving in that they remind us of how dependent we are on God for true life and salvation. Join us on the following Wednesday evenings for our Lenten Evening Worship at 7:00 pm starting on March 13. Along with the beautiful music of the Holden Evening Prayer liturgy, we begin a 5-week drama series revolving around the theme, "Faith and Doubt". How often do you feel this way? Asking things like, Lord, I do believe, and yet I often have doubts. Lord, I know that I should trust you in my daily difficulties, but sometimes I question whether you are there, or whether you hear my prayers, or whether you love me like others. Perhaps somewhere in your upbringing, you may have been told that you just need to believe. You need to put your doubts aside and simply trust God. You need to not be weak but stand strong in the promises of God. In other words, doubt was seen as the enemy to defeat. Yet in and through this series we want to reassure you that not only does doubt not need to be a bad thing, it is often an important part of developing and growing one’s faith. In other words, you cannot have a strong faith if you have not struggled with doubts. Faith and Doubt. How would you assess where your spiritual life is at these days? Make sure you worship these weeks not only on Sundays but on Wednesdays and invite others to come with you. 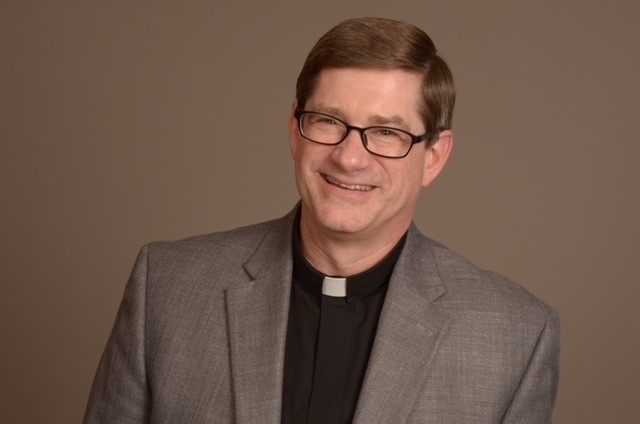 It is with great joy and anticipation as I come to serve Living Waters Lutheran Church in Lino Lakes as your new interim pastor. Thank you for the kindness that you have already extended to me since meeting several of you this month. I am humbled to serve with you and ask for your prayers as we together seek God's mission and ministry in the months ahead. I live in Stillwater along with my wife, Lauren, and three teenage children: Carolyn 18 (a first-year student at Luther College in Decorah, IA), Benjamin 16 and Adelee 14, both students at Stillwater High school. My wife Lauren is also a pastor and serves at Roseville Lutheran Church in Roseville. I have served the church in the Twin Cities for the past 29 years in a variety of ways; as urban youth worker, teacher, community partnership builder, campus ministry, interim pastor and as pastor. I have worked in the urban, campus, small town and suburban ministry settings. Along with serving as part-time interim pastor at Living Waters, I also serve during the academic year at Augsburg University in campus ministry.